We’ve been a little Glee obsessed here at FBG HQ for a few months now. What can we say? We just love “spontaneous” choreographed dance so much. So when Linda LaRue, the creator of Crunchless Abs and the new, constant resistance, 3-dimensional workout, The CORE TRANSFORMER, shared our Gleekness and wanted to write a workout playlist featuring songs the show, we were pretty much like, “Yes!” Times 1,000 with jazz hands. If you like to sweat to mash-up songs or have ever felt like an underdog, this workout playlist will make your face and heart smile—while also inspiring your feet to fly faster on the treadmill. In fact, “Don’t Stop Believin’” has become my personal theme song. It has kept me going more than a few times lately—especially when I’m flat-out exhausted or when I hit major life road blocks. So grab your water bottle, your Nikes and start believing—and Gleeking out! 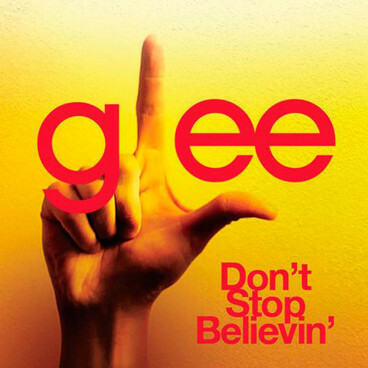 (3:50) Don’t Stop Believin’, Glee Cast: Go on a journey with this one! Get it? Har har! (4:07) U Can’t Touch This, Glee Cast: With your fly cardio moves, no one can touch you! (2:17) Borderline/Open Your Heart, Glee Cast: Hands down, the Madonna episode was one of our faves. This mash-up is perfect for relieving that Glee moment. (3:19) Loser Like Me, Glee Cast: Know you’re a rock star? Belt this one out while you work out! (4:41) Forget You, Glee Cast featuring Gwyneth Paltrow: Gwyneth is so fantastico on the show. Work out like her character would—by having lots of fun! (3:56) P.Y.T. (Pretty Young Thing), Glee Cast: We already love MJ so Glee and MJ? Double the pleasure, double the fun! (3:20) Raise Your Glass, Glee Cast: Dirty little freaks are totally cool in this track. (3:04) Hell to the No, Glee Cast: This sassy song is SO much fun. So get out your best take-no-ish attitude and work it, girl. (3:36) Do You Wanna Touch Me, Glee Cast featuring Gwyneth Paltrow: Get your girl-power rock ‘n roll on with this high-energy track! (3:36) Thriller/Heads Will Roll, Glee Cast: Don’t be a zombie! End your workout with a bang with this rockin’ track! As a bonus, the Yes Fitness Music Team is sponsoring a three CD giveaway of their top iTunes In the Key of GLEE workout CD. Expertly cued to a perfect, heart-pumping 135 BPM, it’s a Gleeking good playlist for your next workout. Just enter a comment to win—U.S. residents only please!